Measure Z also will provide millions of dollars in funding each year for OPD. 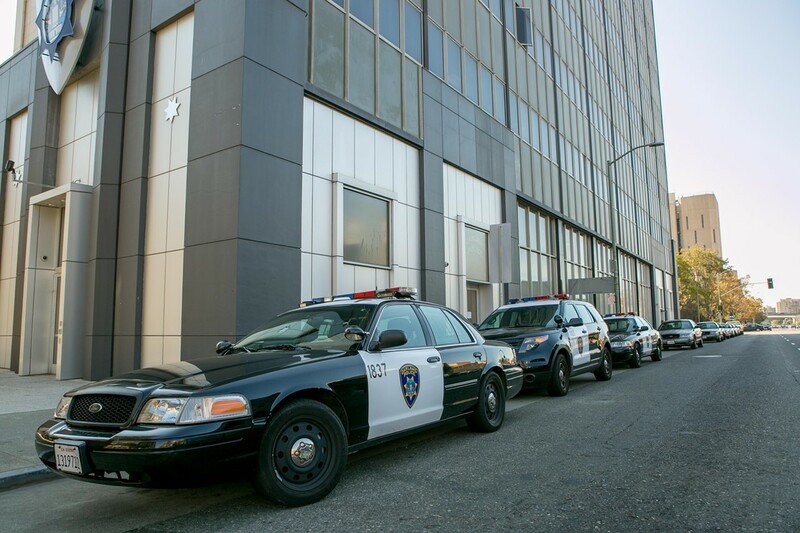 It's been a decade since Oakland voters approved Measure Y, a parcel tax that brings in $20 million a year for police, fire, and violence prevention services. Since then, the city's violent crime rate has risen and fallen, as have the staffing levels of the Oakland Police Department. Yet despite OPD's long-running battle with federal oversight and its continuing failure to solve more than a third of the city's homicides each year, violent crime has decreased in 2014. As of last week, homicides were down 27 percent from 2013, robberies had plummeted 37 percent, and burglaries had declined 12 percent. Measure Z, which requires a two-thirds vote to pass on November 4, would essentially continue the Measure Y parcel tax. It would assess a tax of $99.77 on single-family homes, $68.15 per unit in multiple-family dwellings, and $51.09 for non-residential properties through 2024. Unlike its predecessor, which required the city to assign officers to localized "problem-solving" roles that proved to be ill-defined, Measure Z would give the city and police department greater flexibility in choosing how to spend the tax funds. However, Measure Z prohibits the city from laying off cops if the number of sworn officers in OPD drops below 800. The measure also requires the city to budget for at least 678 officers every year. Oakland currently has about 700 cops. City officials and nonprofit groups contend that Measure Z's continued support for violence prevention efforts, particularly the successful program Operation Ceasefire, is critical. However, critics argue that the new measure falls short of the original Measure Y because it would allow OPD's budgeted staffing to drop below the 739 minimum officers mandated by the 2004 initiative. Marleen Sacks, a Pleasanton attorney who lives in Oakland and has sued Oakland twice for its alleged failure to live up to Measure Y's rules, contended that the baseline number of officers called for by Measure Z is "dramatically lower than what we were promised ten years ago," and pointed to remarks by former Oakland Police Chief Anthony Batts and now-NYPD Commissioner Bill Bratton that Oakland needs at least nine hundred cops. In an interview, Sacks argued that Measure Z would also essentially make permanent a tax that was marketed to voters as a stopgap measure in 2004. "Necessary programs should be funded out of the general fund," said Sacks. "If it's useful, it should be paid for regardless." Measure Z is also opposed by Jill Broadhurst, a political moderate who is running for the District Four city council seat being vacated by Libby Schaaf, who is running for mayor. The Metropolitan Greater Oakland Democratic club also opposes Measure Z. However, organizations that were previously opposed to Measure Y and its 2010 revision, Measure BB (which eliminated the minimum staffing requirement to collect the original parcel tax) have thrown their support behind Measure Z because of its importance to the Operation Ceasefire program. Speaking at a September round table held by proponents of Measure Z, Bruce Nye, a board member for Make Oakland Better Now!, a Montclair-based community organization that consistently advocates for higher police staffing levels and get-tough law enforcement measures such as curfews and gang injunctions, said his organization's interest in fiscal responsibility was trumped by the effectiveness of Ceasefire. "The key to budget reform isn't taking away $20 million from the city's police and violence prevention efforts," Nye said. The top six candidates in the mayoral election — Rebecca Kaplan, Bryan Parker, Jean Quan, Libby Schaaf, Dan Siegel, and Joe Tuman — also have all endorsed Measure Z.
Jim Hopkins, a pastor of Lakeshore Baptist Church who has been involved in Oakland's Operation Ceasefire program, said in an interview that if Measure Z doesn't pass, Ceasefire will be seriously hampered. Since the city relaunched the program in 2012, 60 of 98 people who participated in the call-ins have chosen to receive support services. "It works," Hopkins said. John Jones, who is a member of the grassroots group Oakland Community Organizations and is a security guard who grew up in West Oakland, said he had repeated run-ins with law enforcement as a youth. "Lots of people have needs — I witness that every day at my job at 13th and Broadway," Jones said. "Our youth are growing up in Third World conditions here in Oakland." What Ceasefire does, Jones said, is provide a lifeline to the people who are most at-risk of violence, and who have the least number of opportunities, and offers them a way out. Members of the civilian street outreach teams involved in Ceasefire say their work would also be jeopardized if the $20 million provided by the parcel tax disappeared. The passage of Measure Z is "literally, a matter of life and death," said California Youth Outreach Executive Director Geoffrey Godfrey, whose organization hires intervention workers to participate in night walks and meet with youth who have been targeted by Operation Ceasefire or are at risk of violence. "These are people known to be targets, to be walking around with pistols. If Ceasefire goes away, then what happens to hundreds of men and women who we know are hungry, and feel like they've been forgotten?" Geoffrey Collins, a member of the Oakland Police Foundation's advisory board, said a "no" vote on Measure Z would create "huge problems by breaking the continuity of Ceasefire." The difference between the current policing strategy and the ineffective approaches of the past, Collins said, is that enforcement is now targeted on individuals — and is not a "hotspot" geographic policing tactic that can make communities feel as if they're under siege by police. "The city's two largest gangs [the Case Gang and the Money Team] have essentially been neutralized," Collins pointed out. "The decrease in crime is a direct effort of what Measure Y is doing and what Measure Z would continue to do." Measure Z would also be critical in funding OPD's efforts to keep staffing levels stable. 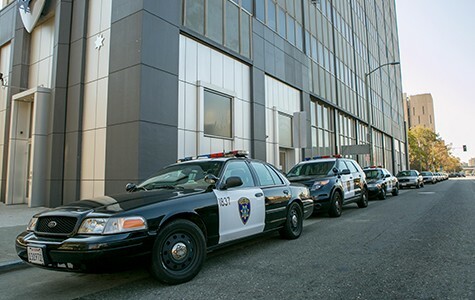 Currently, six to seven officers leave the department a month, which requires the city to pay for at least two police academies a year in order for OPD to maintain the current size of its force. The flexibility written into Measure Z also likely would limit the number of lawsuits like the ones Sacks filed over Measure Y. But the lack of specificity in Measure Z is what bothers Sacks and other opponents. Sacks said she has no problem with the amount of the parcel tax, "but the commitment needs to be something at least the same as Measure Y. Without standards, it's throwing good money after bad."